Adding to our design of the hugely successful Scoop™ Colander, Joseph Joseph have now launched the Scoop™ Measure, so now you can scoop and measure dry foods and liquids with ease using this dedicated kitchen tool. Its large scoop head has metric and imperial measurements clearly moulded inside, a long handle for comfort and a hanging hole for convenient storage. 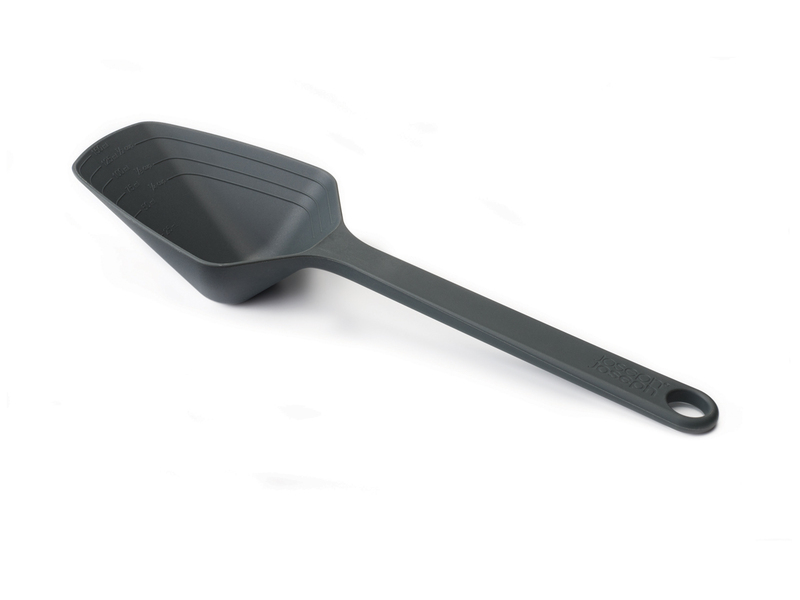 Ideal for taking quick, approximate scoops direct from large containers such as rice or flour sacks, Scoop™ measure can also be used as a conventional serving spoon.